Hide deals from seller "The Face Place Medi-Spa "
Limit 1 per person. Valid on a men's 1-hour facial cleanup treatment. New customers only. By appointment only; must schedule at least 1 week in advance. Promotional value expires 30 days after purchase. Summer sun is great for barbecues and ballgames, but it isn't as kind to your skin. Rejuvenate your manly mug with this deal for 50% off a men's facial from The Face Place Medi-Spa in Schaumburg ($130 value). This 1-hour facial cleanup treatment is a great way to refresh your complexion. The Face Place Medi-Spa is led by Marie Stingini, a certified medical aesthetic specialist with more than 28 years of experience. This clinic specializes in non-surgical medical and cosmetic procedures like laser treatments, microdermabrasion and hair removal. 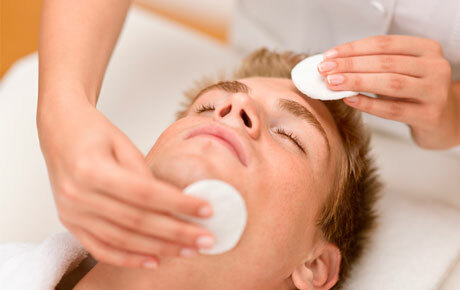 This men's facial includes skin cleansing and toning as well as gentle exfoliation. A certified aesthetician will apply hyaluronic hydration to nourish and rejuvenate the skin. Treat your skin right with this refreshing deal. Medspa in Schaumburg offering cosmetic appearance enhancement treatments.